Released shortly after Mohd. 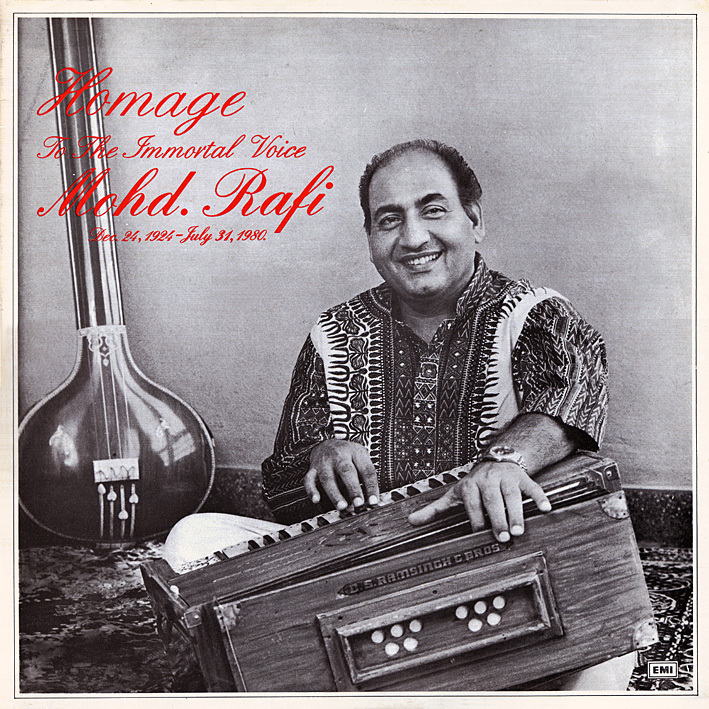 Rafi's passing in 1980, this album is more an audio documentary than a conventional collection of songs. It features a lot of narration, which I'm obviously unable to comment on (and there's no written mention of who it is supplying it), interspersed with musical extracts. Perhaps surprisingly, it's the single non-Filmi song that I find myself liking the most at the moment. the song Tere Bharose He Nandlala is from the Album "Tere Bharose Nandlal"
Mohd. Rafi singing devotional songs. All the compositions are mind blowing. Thanks pc for your rare & excellent uploads. That's a posthumously released compilation though, I think the song's original appearance might have been on 'This is Mohamad Rafi' from 1962.